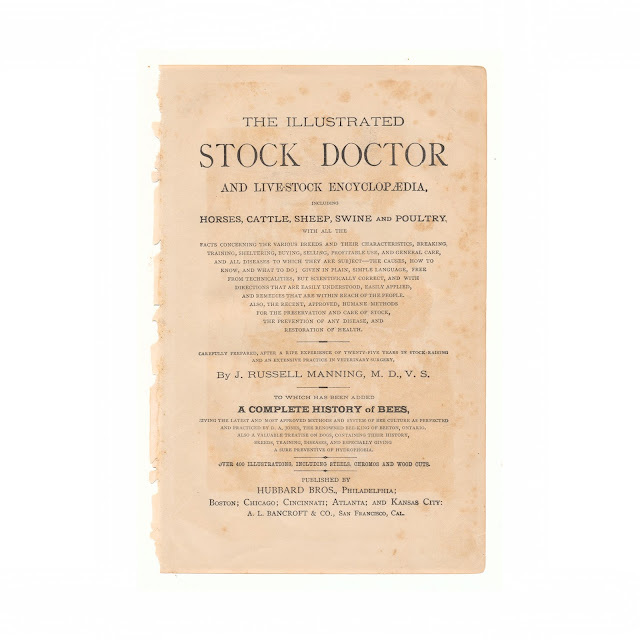 This 6" x 9" original antique print was recovered from a disbound edition of "The Illustrated Stock Doctor and Live-Stock Encyclopedia, including Horses, Cattle, Sheep, Swine and Poultry" by J. Russell Manning. It was published by Hubbard in 1880. 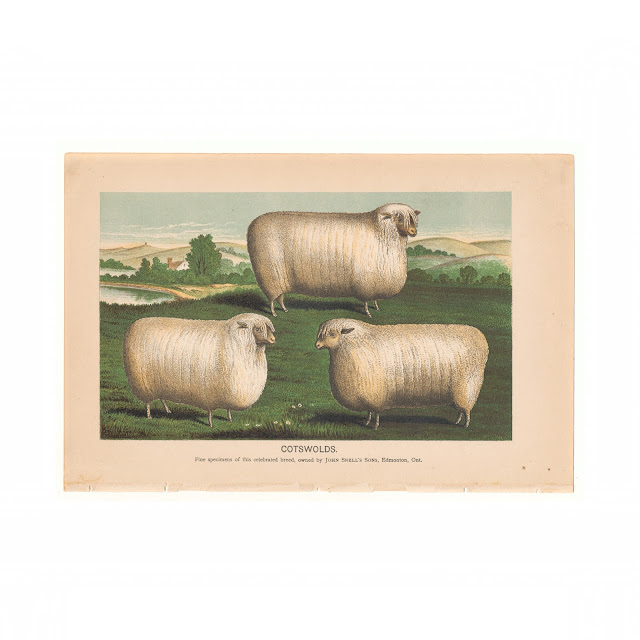 This illustration is titled "Cotswolds: Fine specimens of the celebrated breed, owned by John Snell's Sons, Edmonton, Ont." Paper shows some light foxing and soil, rough edge where it was bound into the book.